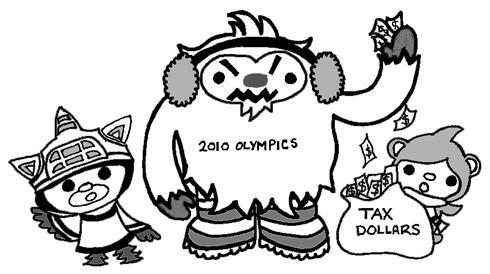 Is Quatchi a money-grubbing monster? Read about it here. 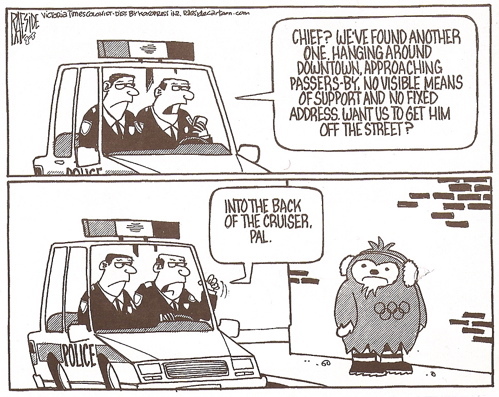 This cartoon comes from the Victoria Times-Colonist. Not a cartoon, but here’s something for lovers of political poetry, found here. But did you hear the news? 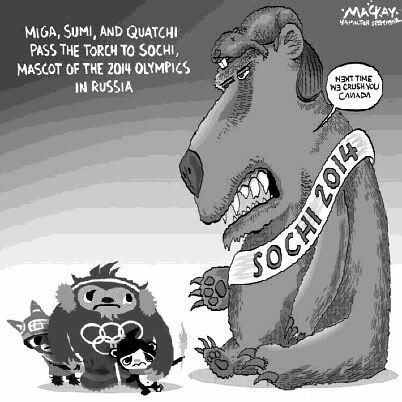 This entry was posted in Uncategorized and tagged art, Miga, protest, Quatchi, Sumi, update. Bookmark the permalink. I know Centenie. She’s a great writer and a big lover of Quatchi!